Ralphie Parker wanted one thing for Christmas. “I want an official Red Ryder, carbine-action; two hundred shot range model air rifle, with a compass in the stock and this thing which tells time!” Even if your Mom, teacher, and Santa Claus insist that “you’ll shoot your eye out,” we’re right there with you Ralphie – a Red Ryder BB Gun would be pretty sweet. Although the BB gun was the centerpiece of the main plot in the iconic movie, A Christmas Story, the gun is pure fiction – outside of the 6 rifles Daisy created for the movie, it never existed. I know; I’m just as disappointed as you are. My 6-year-old self is crushed. Created from the imagination of the story’s author, Jean Shepherd, call it creative license. 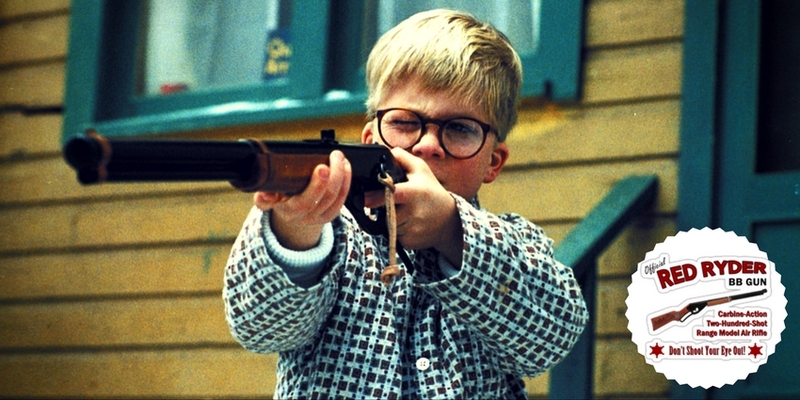 The BB gun that Ralphie obsessed over was a combination of features found on the “Buck Jones” Daisy air rifle and the subsequent “Red Ryder” model. For example, the “Buck Jones” model had a compass and sundial in the stock, but the “Red Ryder” did not. Daisy Outdoor Products (commonly referred to as “Daisy”) was formed in 1882 as Plymouth Iron Windmill Company, based in Plymouth, Michigan. While the vane-less windmill had the makings of a great product, the business plan failed to recognize the challenges associated with the transportation of heavy steel windmills by wagon. With sales suffering, the company needed a break. On March 6, 1888 they got one. On that day in 1888, the creator of the vane-less windmill walked into the shop with his latest invention, an all-metal air gun. He was looking to the manufacture the gun at the windmill shop due to its metal-manufacturing setup. According to company folklore, when General Manager, Lewis Cass Hough, test fired the gun, he exclaimed, “Boy, that’s a Daisy” – the name stuck. The windmill company decided to manufacture the gun and use it for sales promotions, offering it for free to every farmer that purchased a windmill. Less than 10-years later, the popularity of the BB gun outgrew that of the windmill, prompting the company to exclusively produce air guns and change its name to Daisy Manufacturing Company. Fast forward to 1940 and the rise of the uniquely all-American staple, Westerns. Featured in just about every Western produced, the Winchester rifle was the rifle of choice for every rough-and-tumble, gun slinging hero. Just two years prior, in 1938, one such hero, Red Ryder, was introduced in the form a comic strip that was nationally syndicated by Newspaper Enterprise Association. Fred Harman’s Red Ryder, December 12, 1939. In a brilliant stroke of licensing genius, Daisy jumped on the Western bandwagon and hitched its future on the back of Red Ryder. In the spring of 1940, Daisy introduced the Winchester-like Red Ryder BB Gun and continued to produce the popular model until mid-1942 when Daisy converted their facility to support the war effort. At the conclusion of World War 2, Daisy jumped back into the air gun business and reintroduced the Red Ryder in November 1945. While Daisy was building air guns and supporting the war effort, Red Ryder the cowboy was carving out quite a name for himself. 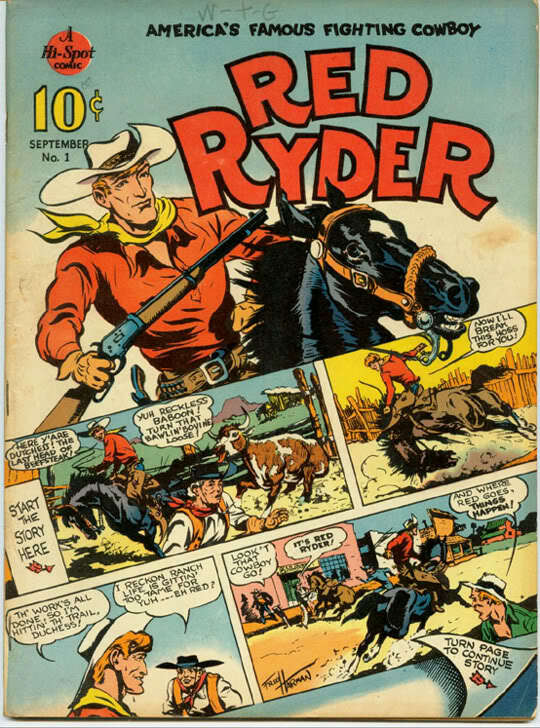 The success of the Red Ryder comic strip led its creators to publish the first Red Ryder comic book in September, 1940. The comic book title ran for 151 issues, ending in 1957. The cowboy also graced the big screen in numerous films between 1940 and 1950, and a television stint in 1956. 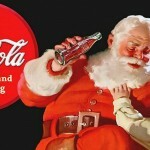 Red Ryder BB Gun sales soared right along with the popularity of the comic book cowboy. The Model 1938 Red Ryder BB Gun is a lever-cocking, spring air gun with a smooth bore steel barrel. It has an adjustable open rear sight for elevation and a post front sight. BBs are loaded through a gravity feed magazine that holds 650 shots. The stock is made of stained solid wood and engraved with the iconic cowboy lassoing the words Red Ryder. The gun also comes equipped with a saddle ring with a leather thong that’s attached to the stamped metal receiver. With a muzzle velocity of 350 fps, the Red Ryder has a maximum shooting distance of 195 yards. However, don’t expect to hit too many targets at that distance. Due to the low velocity and smooth bore, you’re looking at an effective range of only 10 yards, give-or-take. But hey, we’re just shooting cans right? If you want to see one of the 6 official Red Ryder, carbine-action; two hundred shot range model air rifle, with a compass in the stock and this thing which tells time, you’ll have to make a trip to the “A Christmas Story House” in Cleveland, Ohio. Yes – there is such a thing! 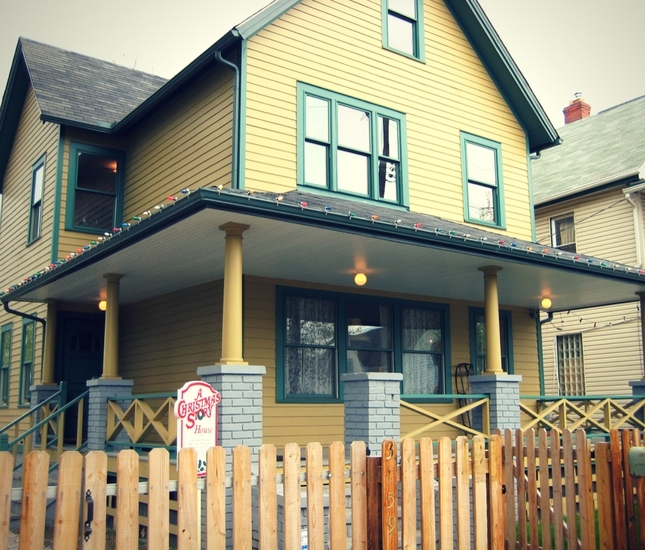 The original house that was used in A Christmas Story, has been restored to its original movie glory, and is open to the public year round. Directly across the street from the house, at the A Christmas House Museum, is where you can find the rifle along with other movie props, costumes, and memorabilia from the film. The “Parkers’ house where A Christmas Story was filmed, in the Tremont neighborhood of Cleveland’s west side. If you could locate one, I suppose you could fork over the hefty sum it would take to acquire one of the remaining guns. The remaining five “movie guns” have seemingly disappeared. In the past (typically on the anniversary of the movie), Daisy has produced a tribute gun, called the Daisy 1983 Model “A Christmas Dream” Red Ryder BB Gun, complete with a compass and sundial in the stock. For the diehard movie fan, these can be found on the market for purchase. That said, Daisy is still manufacturing the iconic Model 1938 Red Ryder. And it won’t cost you an arm and a leg to purchase one… maybe just an eye!